This Nasal helmet features a reinforced 10 gauge nasal and is leather lined with a chin strap. 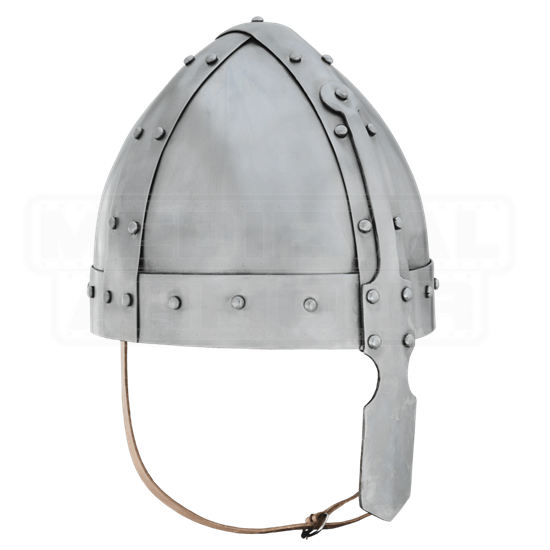 The rest of the helmet is made of 16 gauge steel and is ready for use. The Nasal Helmet Weighs 5.25 lbs. 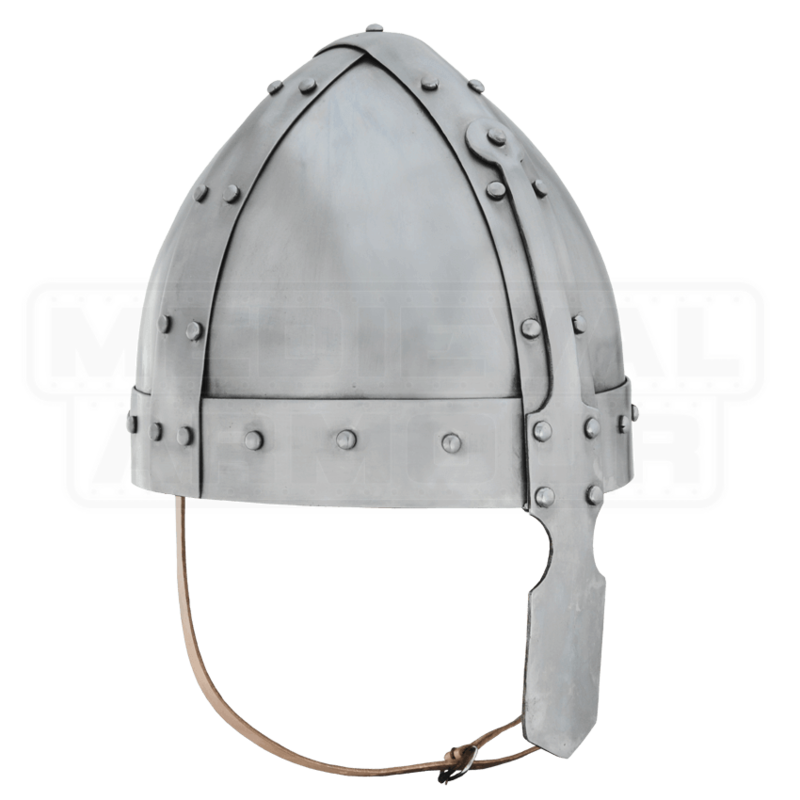 making it lightweight and great for medieval reenactments.